Growth hacker, show us what you can do to get results? Is a growth hacker the natural evolution of a digital marketer? Is there a difference between them? In every field, development and growth continue to happen, sometimes it is slow and hard to see, other times its hits the ground running and doesn’t look back. Changes are happening, and they are exciting, inventive and creative; growth hackers are front runners in these endeavours. The differences do not indicate that one is better than the other, but, they are different. A marketer utilises current trends using acknowledged paths and techniques. The focus is on promoting and selling the produce and how you do that within a set of guidelines that have been tried and tested. Optimising the set of rules they have been given to work within, is a slow, sure progression. In contrast, growth hacking can appear to be an instantaneous burst of brilliance, do not be fooled. Behind these bursts, it is well thought out rational assessment of data, product and customer. 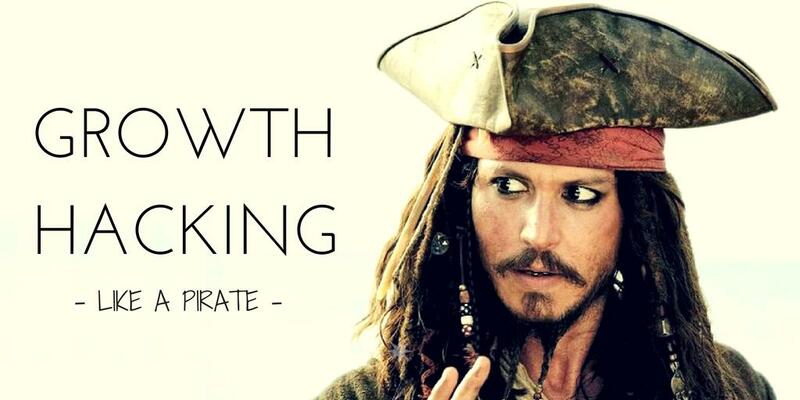 A growth hacker is by definition innovative, a thinker outside the box. Taking information and data from multiple sources, they turn traditional methods inside out, exploring ways to formulate their strategies. Start-ups have been indicated as responding well to the growth hacker approach, while well-established businesses remain the domain of digital marketers. There is no hard and fast line, and the future is open to all. The growth hacker is looking for new routes to improve your business, and then the marketer can utilise these while the growth hacker discovers and opens more new directions. What tools does a growth hacker use? A growth hacker is a critical thinker who approaches his product with a different perspective, a focus more on the potential customers than selling process of the product. The limits are not proscribed as to what direction and what information is collected. A growth hacker needs to have an innovative and confident approach. Data analysis is an essential skill, collating the research, using the data but not being dictated by it is also important. Problem-solving abilities, are the perfect tools for a growth hacker, using them to look beyond the tried and tested route. Information is available from a variety of sources; a growth hacker uses all the available avenues as the tools to collect the data he requires. The viral acquisition is one, to promote the product via existing customers to gain new ones. Content marketing and paid acquisitions another; merging and blending well known workable formulas into new equations. The growth hacker’s goal is to sell, so all tools that contribute to this are his primary resource. The process is not solely about information giving regarding the product as with marketing; it is about making that sale, the quicker, the better. Growth hackers look to develop innovative ways to reach out to people and facilitate them to promote the product and its sale further, engaging current customers to make new ones. At Wordapp we love innovative folk, we want to know if you can ‘boldly go’ into new and untried areas. Growth hackers have a place with us; your abilities will find a niche with us. A niche that will push your boundaries and encourage your ideas. Wordapp is continually evolving, looking for new and creative ways to support businesses both new and established. Off the wall thinker? Great, we are an off the wall company with a proven track record of innovation and creative thinking that gets the job done. So if you are bursting with ideas and see beyond the familiar give a thought to contributing to our quest for innovation and development that bring results. Our door is always open for people to join our team of professionals who think differently. We offer stimulating challenges to develop your critical thinking and problem-solving skills further. Wordapp has a team approach that encourages and supports individuality and creative thinking; we are always looking for new, exciting and budget-conscious ways to expand our modus operandi. Think you have what it takes, then show us!